I understand the only information collected by this form is the country for research purposes. 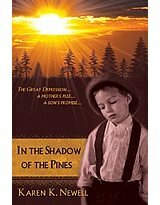 Read the descriptions of the books in Kaleidos 6 reading list. 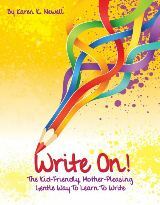 Sixth graders in Kaleidos continue learning creative writing and essay construction using Write On, The Kid-Friendly, Mother Pleasing, Gentle Way to Learn to Write. As the picture above demonstrates, each Write On has a sample student model, directions for the teacher, and objectives. Many have idea clouds and sentence starters. The wide variety of types of writing adds interest, and essays gradually build as students to learn to write with persuasive, narrative, and informative writing. 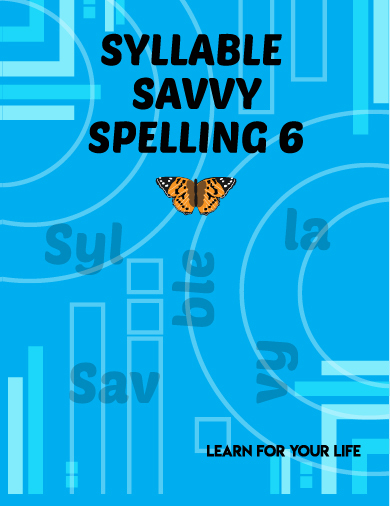 Syllable Savvy Spelling 6 is the spelling program used in Kaleidos 6. After studying the words, students write each word on the work page in syllables, then count to make sure each syllable has the correct number of letters and each is correct. How does this help? Poor spellers tend to see a long list of imcomprehensible letters. Syllables are short, most are three or four letters. While the number of letter combinations in practically infinite, the number of spelling patterns is quite finite. It is easy to recognize the patterns inside of words. To make it even easier, the first page of each lesson identifies one of the twenty-one common spelling patterns or "rules." That's it. Only twenty-one rules to remember. Moreover, no-one is expected to memorize the twenty-one rules. They simply use them. 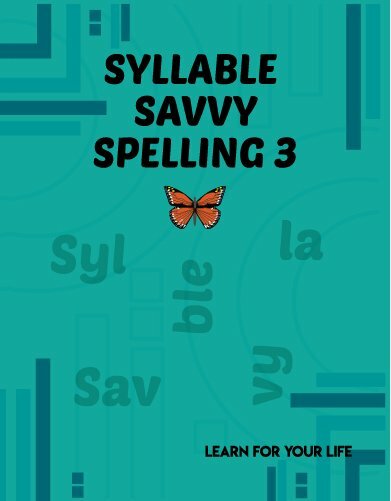 Here is a simple of the some of the word lists in Syllable Savvy 6. 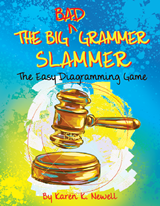 Those students who did not use The Big, Bad Grammar Slammer in fifth grade will complete the modules in two months. These will teach them all the functional parts of speech with an emphasis on writing and punctuation. 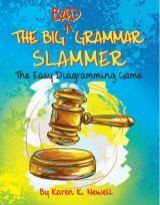 Students who completed The Big Bad Grammar Slammer last year will play the diagramming game once a week. 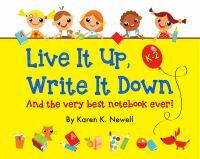 This allows them to continue to practice all the parts of grammar previously learned in a painless and fun activity. Students will continue their study of grammar using this non-consumable, economical guide from Dover Publications. Short activities, twice a week, will expose them to all the basic rules of grammar. We use this guide throughout middle school and high-school, emphasizing to students that grammar has a set number of basic rules. The Kaleidos 6 Weekly Schedule includes three times a week lessons for computer: twice a week they practice those essential keyboarding skills and once a week they learn how to use Excel files. The Instructor's Guide in the back of the Kaleidos 6 book gives directions on how to individualize your curriculum if your student has already mastered this material, or where to turn if they need more basic computer information. Kaleidos is a soft cover manual that will be shipped to you within two business days. Note: The Kaleidos Instructor's comes in the curriculum package below. You do not need to buy an additional guide if you purchase the curriculum package. Note: The Curriculum package above includes only the four curriculum products pictured. 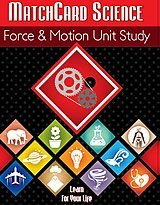 It does not include the literature books. These classics are likely available at your library. You may find them locally, including at used book stores. For your convenience, we also have them available below in economical paperback editions. The literature package includes all thirteen books pictured above. It does not include the curriculum guide, writing, spelling, and grammar books which are sold as a package above. 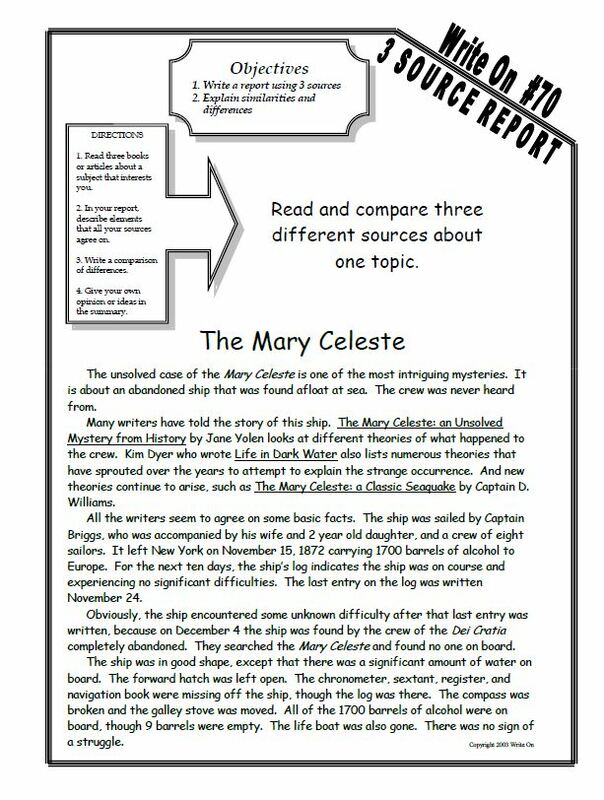 Get more information about Kaleidos Language Arts and the other grade levels.